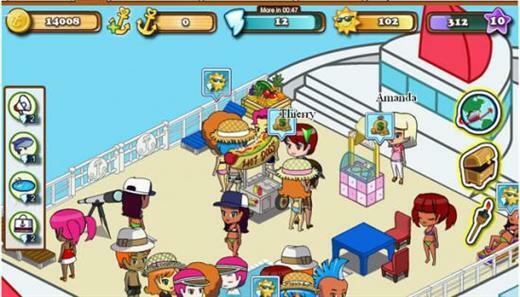 Perfect Getaway is a cruise ship management Facebook game from Perfect World Entertainment. In the game you are captain of a cruise ship. It’s your job to make sure everyone on the ship is as happy as possible. The game has a distinct anime art style, and its gameplay moves extremely fast, giving you a nice the feeling of progression. 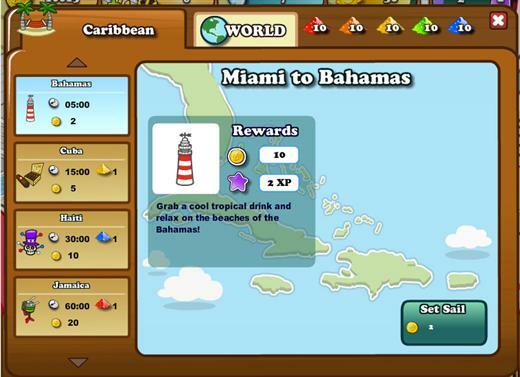 Set sail and travel the world on your very own cruise ship! As captain of your adventurous cruise ship, you can choose where to set sail. From the exotic ruins of Mexico, to the island paradise of Hawaii, the choices of where to dock are endless! Provide your cruise ship with exciting amenities to create a fun experience that won’t be forgotten! 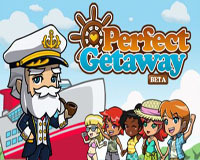 In Perfect Getaway your goal is to keep customers happy, in order to do that you have to give them activities to do, shops to spend money at and objects for them to interact. Most of these actions cost Energy, which is scarce at start. 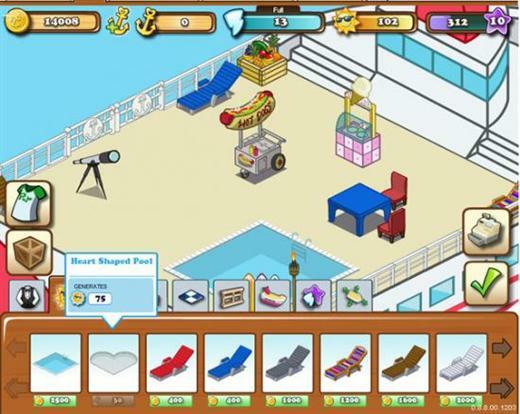 – Dress up your avatar and become the captain of your very own cruise ship! – Decorate your cruise ship to impress your friends! – Make money managing your kitchens, bars and poker tables! Keep your service stations stocked with leisure! – Hire your friends to be part of your crew! – Set sail on voyages to world renowned landmarks and destinations! – Pick up souvenirs at each destination for special rewards! – Keep your passengers happy to increase your popularity! – Meet colorful passengers at every port!